literally changed the way you think or feel? The transformational power of stories dates back to the Bible. Since then, there have been countless publications that have had a permanent positive impact on millions of people. Once such story is Nightingale-Conant’s newest publication, The Highest Calling, by Larry Janesky. Nightingale-Conant is very selective about the new programs it offers these days. It takes a special author with a special message. We recently found one such product and it has the power to help you overcome your limitations and transform your life forever… all by telling you a story. 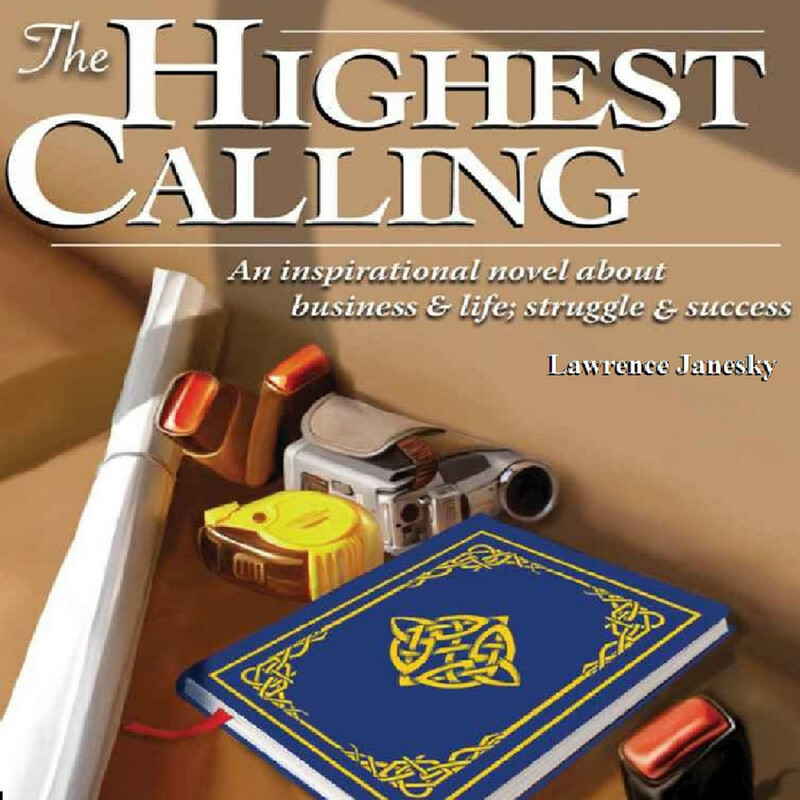 I have heard literally hundreds of programs from the greatest personal development authors in the world, so it caught me completely by surprise when I was moved so dramatically and deeply after listening to Larry Janesky’s The Highest Calling. I was captivated by this story. It held my attention and compelled me to think about my own business-related habits and actions. I discovered that there is something uniquely powerful about learning through a story… and in this case, a story you can listen to on audio CD (it is also available as a book). After listening — and for the first time — I recognized limitations I had not seen in myself before. It took this story to help me realize how much more there was for me to accomplish. This was an unexpected gift, given the high level of success I had already achieved. When you listen to Larry’s story, you will laugh, you will cry, you will learn. It’s more than an inspirational audio book; it’s a life-changer for anyone who wants to get the most out of his or her business. Yes, I want to enjoy and benefit from the story that can help me turn my business into my personal gold mine, and so I want to take advantage of this special offer today! Yes, for those who are seekers, it’s a powerful entrepreneurial education, one that has the potential to improve the lives of millions. How to have a great life as an entrepreneur and as a person. The value of passing on your knowledge to the next generation while you can. Why the condition of a business is a reflection of how the owner is thinking. The correlation between how much you desire success and how much success you will achieve. The power and impact of patience. How to change your unwanted circumstances. Who really causes your problems. Are you stuck in a routine that is so time-consuming that your business or job demands are controlling you, rather than you controlling them? If you calculated your hourly income based on the hours per week you work, would you be grateful or disappointed? If you are working long hours but still aren’t achieving the results you want, if you aren’t earning the level of income you desire, if you feel bound to work, instead of being free, then Larry Janesky’s insightful story is for you. Even though most people know they need to change, most people will not do what is necessary to make change happen. So, if you are at a point in your life at which you recognize you have to do things differently, this story will help you make that important and essential transition. The Highest Calling provides meaningful, usable lessons for your business and your life that will help you accomplish your goals and give you the guidance you need to live the life you have always wanted. Here’s one of Larry’s important keys: To achieve something you’ve never done before, you have to become someone you’ve never been. Larry will help you make that transition. You will even learn to formulate a plan to start earning the amount of money you want, plus how to make your business into a machine in the process. This 7 CD audio book will keep you entertained as it fuels your income generating imagination. I give my highestrecommendation to The Highest Calling and encourage you to click here to order it now. You will be so glad you did. YES, I want to break free of the business funk I’ve been in for so long by gaining the knowledge, information, and answers I've been seeking. Please send me Larry Janesky’s 7-CD audiobook program The Highest Calling for ONLY $49.95, which is 70% OFF the regular price! If I don’t begin to experience lasting wealth and fulfillment, I can simply return the program in the next 30 days for a full refund. No questions asked.